Due the patch which should be implemented today, there occured some error. There occurs a Login problem when you using a Gold Card. People with gold cards can’t login for the moment. The error probably occured by some preparations for the new patch. The patch for today was abandoned and announced for tommorw, wednesday 19.3.2014. For all people with Gold card , write down your securtiy numbers if its not to late yet. If you use more then 3 unsucessful tires you loose the sync to EU. Happened to me already ! I hope this login problem will be fixed soon. 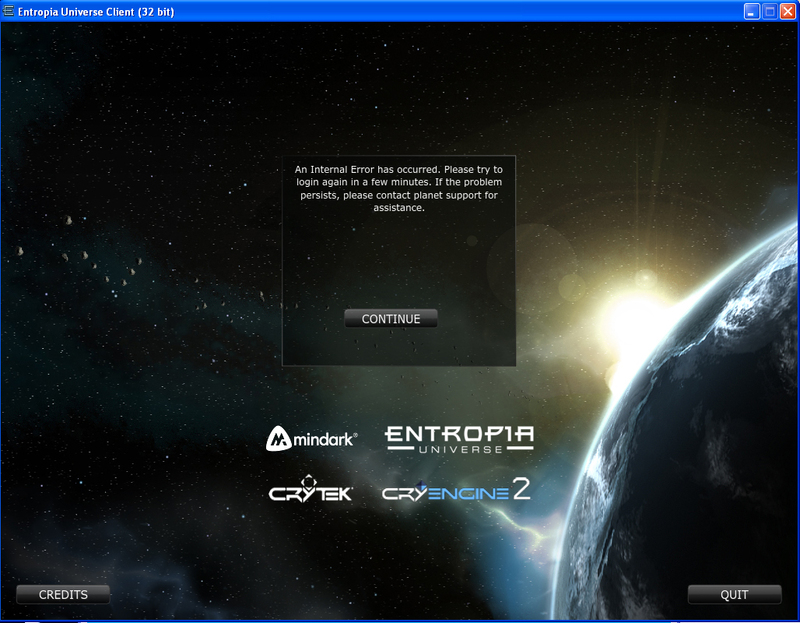 There is currently an issue preventing participants with the Gold Card security system from logging in to the Entropia Universe client, as well as the Entropia Universe account website. Thank you for your patience while our technical team works to resolve this issue. im just a bit curious how they will fix the mass unsync from all the gold cards. But to be honest, they react quite fast on the login problem. MA is working really hard on it but before the patch tommorow is released we won’t can log back. today after the patch is the login able to use again, aswell if you lost sync. write a suport case and ASK for gold card sync and then just login normally. the client will ask then to enter 2 security codes to re-sync.